Do you know that the largest spice market in Asia is located in Delhi? Well amongst all Delhi things to do, this is one sight-seeing activity that is fun of a completely different type. Take a walk through colorful hidden streets of ‘Dilli’ lying under the wraps of ‘Delhi’. It might be famous for its wide variety of spices, nut apart from this you can actually get almost everything in this small street. Feel the aroma of various spices proudly thronging this market throughout. 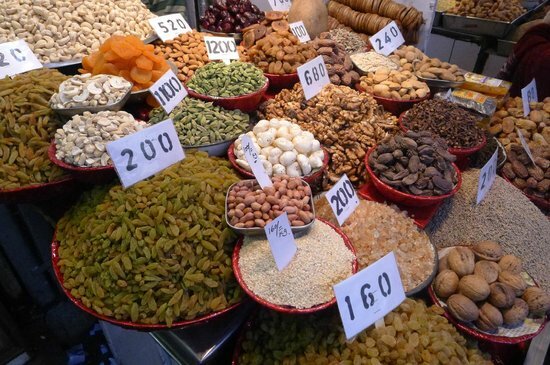 From spices to rich variety of dry fruits- you will get everything here. Indian weddings area festival of their own and well this is certainly one of the most favorite wedding shopping destination for food items. Walk into the spice hub of Delhi!